I guess very few of those who have covered the Troubles in Ireland would ever have thought the day would dawn when senior members of the Irish police force, an Garda Siochana, would commend the evidence of some of the IRA’s most ruthless killers and prefer it to the judgement of a Tribunal of Inquiry established by the Irish state. Yet this is what happened yesterday with the release of a 33-page rebuttal of the findings of the Smithwick Tribunal, written by former Garda Chief Superintendents John O’Brien, Michael Finnegan and Michael Staunton. 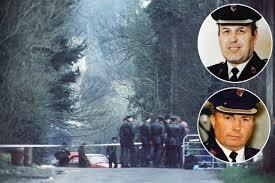 The three retired officers took issue with the Tribunal’s conclusion that when the IRA gunned two senior RUC officers, Chief Superintendent Harry Breen and Superintendent Bob Buchanan, to death in South Armagh in 1989 it had been assisted by a Garda mole inside Dundalk police station. Instead, the policemen assert, the IRA did it all by themselves. During the eight-year long Smithwick Tribunal, a group of alleged “former” IRA members gave evidence – an arrangement organised by “an intermediary” (Fr Reid, by any chance?) – but not in the way everyone else provided testimony. The IRA members, who allegedly included the military commander on the day of the shootings, first agreed to provide a written statement describing the background to the killings and then to answer written questions in writing. Later in a private face-to-face meeting with three members of the Tribunal they gave oral evidence. But other lawyers representing interested parties were not present, did not know of these proceedings until afterwards and obviously had no opportunity to question the IRA team. Why should one believe the FPIRA account of the attack? They are the only ones who know definitively what happened. They have cooperated with decommissioning and the location of the disappeared albeit on their terms. They are proud of the killings as this was a badge of honour to them………Prudently one has to discount their account for self serving recall but on the balance of probabilities their account has significant credibility and also they probably ceased cooperating when their contact with Smithwick was blown by the media. Leaving aside the fact that we only have the word of others that decommissioning was actually carried out, how it was carried out and to what extent it was carried out and that there are a number of families in Ireland who might take issue with the policemen’s verdict on the IRA’s handling of the disappeared, the message from the three retired Chief Superintendents seems to be, as the Irish Times report put it, that the IRA had “no reason to lie” about having a Garda agent in Dundalk police station. Well, I can think of one very strong motive for the IRA lying about this, just as I can see a motive for the three retired Gardai’s writing their 33-page critique of Smithwick, namely their understandable anxiety to clear their force of the stain of collusion with the terrorists they were sworn to put away in jail. In a small number of years it is very possible that some of the people who sat on the ruling council of the organisation that killed the two RUC men, and who, given the political sensitivity of the operation, may well have reserved to themselves the giving of the final green light for the violence that day, will be sitting around a cabinet table in Dublin sharing responsibility for running the same police force they are accused of subverting. If so, it will likely be a coalition government they join and it does not take a genius to work out that very few of that party’s potential partners in a coalition government would really want to sit at the same table as people whose military subordinates had boasted to a Tribunal of Enquiry that they and members of the force for which they now share responsibility had colluded in murder. As motives go for the IRA denying claims they had help from a Garda in the killing of Buchanan and Breen that seems pretty strong to me. I do not know what happened on the day that the two RUC men met their end but there are two things that I do know: one is that it was not necessary for the Gardai informant to tip off the IRA on the day of the killings for him to have colluded in the deaths. Surely the crucial piece of information was that the RUC men were regular visitors to Dundalk Garda Station at all, information which the IRA claimed had come their way when the policemen were spotted by chance by one of their volunteers, but which could also have been provided from inside the station by a sympathetic policeman. One explanation is as plausible as the other. Once that basic fact was known the IRA could at its leisure have organised the ambush at a time and place of its suiting, a scenario, incidentally, that fits just as neatly with that offered by the three retired Gardai officers. The other thing I know is that the IRA did have an agent inside the Dundalk Garda station. The Smithwick Tribunal was established largely because of allegations from Toby Harnden in his book Bandit Country – The IRA and South Armagh that a Dundalk-based Garda helped the IRA kill the two RUC men. Harnden got his information from security force sources on both sides of the Border and although he refused to give evidence to Smithwick – presumably on the laudable grounds that he would not compromise his sources – I believed him. I believed him not just because I know him to be a reputable and ethical journalist but also because I was told the same, that a well known Dundalk Garda was in the back pocket of the IRA in South Armagh. My source was a well-placed member of the IRA whose position in the organisation was such that he was in a position to know all about the Garda agent. The details about the agent that I was given dovetail exactly with Harnden’s information. So between Toby Harnden’s security force sources and my IRA sources I think we can be pretty sure that the Garda IRA mole in Dundalk police station did exist. The protestations to the contrary from the retired Garda officers are understandable but they do not add up. does F.P.I.R.A. not stand for fraudulent petrol importing ‘republican’ armaghmen? With your claimed ‘inside information’ why did you not volunteer your ‘evidence’ to the Smithwick tribunal? But of course Smithwick didn’t need evidence to say that ‘on the balance of probability’ he thought a mole was operating in Dundalk Garda station. I had always followed your stories because they all seemed to be pretty factual, rather than just having ‘an impression’ something existed. and why don’t i turn over everything i come across to the authorities? how long do you think i would last as a journalist. toby harnden didn’t give evidence and neither would i. the gardai knew they had a traitor in their ranks, they didn’t need us to tell them. and where do you get the word ‘impression’ from? i never wrote that. Toby Harnden’s non-appearance at the Tribunal might also have had to do with the claims of one retired Garda that he had been seriously misrepresented by him. ‘Sean Camon interviewed Toby Harnden on 12 May 2000. He was not prepared to reveal his sources and was not in possession of any evidence. Rather his book was based on “conjecture and hypothesis”. He revealed the name of Owen Corrigan as a suspect Garda and Alan Mains as a source of the allegation. He would deny it? If he didn’t say it, of course he would deny it. Are you insinuating that he is lying? heaven forfend! the idea that a policeman would lie is, to paraphrase captain renault in ‘casablanca’, ‘shocking! shocking!’ in the name of god, gearoid, wise up, as they say in belfast. No need for the sarcasm, Ed, I am sufficient wise on this subject as it is; for my sins, I read the report. The point I was getting at above was that, while several Gardaí came in for censure from Smithwick for their testimony, Prenty was not for his statements regarding Harnden. Given that Harnden, the catalyst for the inquiry, refused to attend in order to give testimony – we will say he did so out of prudence – and one of his ‘sources’ did appear to openly call him out for misrepresentation, I would not be entirely inclined to view Harnden as ‘reputable’. Certainly, his reputation has been damaged by his no-showing and his seeming misrepresentation of one of his sources which he has not defended against to my knowledge. None of my points are about Gardaí being unable to lie, nor even about the Provisional IRA having active sympathisers – ‘moles’ – within the Gardaí and other services. firstly, toby harnden did not call for a tribunal. he wrote a book honestly i believe, and that was it. others then set up a tribunal. if he had gone to the tribunal and gave evidence what would the first question to him be? who was your source, i expect. and what, you think he should have told the tribunal this secret, compromised his source, went back on his word to his source and by so doing have ended his career as a journalist since no-one would ever talk to him again? his reputation was not harmed by not appearing at the tribunal except in the eyes of those who think betraying a source is acceptable behaviour for a journalist! as for prenty not being criticised, so what? doesn’t mean he wasn’t lying, just they he wasn’t caught out lying. he has a motive for lying, i.e. protecting his pension. but what, gearoid, was toby harnden’s motive for manufacturing this story, as you clearly think he did? i think you should say. I did not state that Harnden called for a tribunal, I stated that he was the catalyst for it. To clarify, his work – which we are now discussing – was the catalyst for the tribunal; as a reading of the final report makes clear. Harnden had initially declared his willingness to appear at the tribunal, before going back on this. If Prendy was not his source, if there was indeed another Garda officer who he had spoken to and who said the things ascribed to him by Harnden, then Harnden could have clarified this at the tribunal by putting it on record that Prendy was not the source of the statements. This would not involve Harnden revealing any other sources, merely denying that Prendy was the source. On the other hand, if Prendy was the (formerly-)anonymous source and had stated those things – as I believe you are implying – then Harnden could have appeared at the tribunal to refute Prendy’s denials. This would not compromise or reveal any source because the source would already have been made public. It would put one man’s word against another. As things stand, only one of those two people was willing to appear at the tribunal and stand over their assertions. The last two lines of your post seem somewhat aggressive. I have read the report, and Harnden’s book on S Armagh. I am not denying that there were instances of collusion between Gardaí and the Provisional IRA; I have come across several examples myself from my own research. I am merely pointing out that Harnden’s non-appearance at the tribunal, coupled with the appearance there of a witness who claims that he was misrepresented by Harnden and refutes the statements attributed (seemingly) to him by Harnden cannot but impact on the credibility of Harnden’s claims in Bandit Country, or elsewhere on this subject. you haven’t answered my question: what motive did toby harnden have for manufacturing the story about the ira’s garda mole? the logic of all you are claiming is that harnden’s story is not true, that he made up the garda source, was not willing to risk this being exposed at the smithwick tribunal and so on. if so, then i think you are obliged to give a reason for his behavior. i know why the garda involved might lie, equally you should tell us what harnden’s motive was. I did not answer the question because discussions should not be dominated by one person demanding answers off those who dissent from what they insist to be the facts and refuse to debate the issues at hand unless all other participants abide by the rules of one. It is a bullying form of discourse, and you are welcome to it. or perhaps it was because you just couldn’t think of an answer? …is this actually Ed Moloney? Genuinely? I have read your books, and your articles going back to Hibernia and Magill. Now to have you try to browbeat me like a surly teenager because I have asked valid questions of a journalist based on his non-appearance and claims of his misrepresenting a witness at a government tribunal is bizarre to say the least. toby harnden is a friend of mine and a colleague in the same line of work. i also happen to know he is telling the truth in this instance. when you call him a liar you are implicitly calling me one too. and if you call a friend of mine a liar, especially on the basis of evidence from a force that does have a compelling reason to lie in this case, you will get a proportionate response. if you don’t like it then there is not much i can do. That is a false syllogism, revealing your heightened sensitivity. You drew a false inference from a reasonable point I made regarding Harnden’s refusal to defend his case against accusations of ‘misrepresentation’ levelled at him from an alleged source. By becoming unreasonably and immaturely aggressive, you are seeking to avoid debating the salient issue of Harnden’s non-appearance and claims of his misrepresenting a source. That is your prerogative, but it is glaring. Go n’eirí leat, a mhac. toby harnden was quite right to refuse to appear at the tribunal. it would have turned into an exercise designed to get him to reveal his source and when he didn’t, to condemn and abuse him. his non-appearance is a non-issue as far as i am concerned. i am just astonished at the energy of your efforts to come to the defence of the gardai when it is patently obvious they did have a mole in their ranks. do you have a dog in this fight, or is it the slur on on a free state institution that has you so exercised? as the man says, you do have a bee in your bonnet about this. What about the senior RUC officer who was also suspected of having a leaky jaw when it comes to the bhoys from the wee county. True Bill or is it Kevin Fultonesque? Sylvias mother says Sylvias busy,too busy to come to the phone..
Harnden’s motive for penning this book could have been simply good old fashioned disinformation? I wouldnt be the first time that british spooks successfully manipulated a journalist to do their dirty work etc. The british play a long game and they knew they would need a counterbalance to the mounting evidence that they were up to their necks in the organising of unionist militia. I dont know if the IRA had a mole in the Gardai, but in my opinion there should have a lot more free staters assisting the IRA during the troubles anyway. But thats another story. What amazes me, when i read accounts from all and sundry, that the PRM was infiltrated by brit agents, is how the british couldnt prevent this attack. Or perhaps they let it happen? It wouldnt be the first time they sacrificed their own to play the ‘long game’. As a young man i witnessed the show of strength the british forces put on immediately after the ambush at loughgall; the dozens and dozens of landrovers squealing towards the scene and the triumphant howls from the occupants as they whizzed passed me and my neighbours. That day left me in no doubt whose side i was on. So when the face of that ambush is himself met with the same fate a while later i shed no tears i can tell you. The people involved in that operation lifted the hearts of every republican across the land, of that they can be proud. Thats what war does i am afraid to say. Just on another footnote, it never ceases to amaze me how journalists can establish ‘trusted’ sources within security force agencies and obtain ‘truthful’ accounts from them concerning republicans but yet at the same time these sources never seem to divulge any of their own sides dirty laundry. Call me a conspiracy theorist but i would love to hear their opinions concerning Ted Heath and his fondness for kids. Or indeed Lord mountbatten? The Liam Adams scandal would be a sideshow compared to these twos stories. Surely any journalist should investigate all the ‘news’ and not just the ‘news’ the state wants you to investigate? Jersey care home scandal,anyone?